A Medicare Supplement Plan is an insurance policy sometimes referred to as a Medigap Plan. These insurance products are sold by private Ohio companies such as Aetna, Anthem BlueCross BlueShield, Cigna, Humana, Medical Mutual of Ohio, Mutual of Omaha, and United Healthcare to name a few. All Medicare insurance companies operate under the supervision of CMS and the Ohio Department of Insurance. The supplement helps pay some of the health care costs that Medicare Part A and Part B does not cover. Some examples of covered service would be co-payments, coinsurance, and plan deductibles. An Ohio Medicare Supplement Plan is different from a Medicare Advantage Plan. Medicare Advantage plan are elected by the Medicare beneficiary, such as an HMO or a PPO. Medicare Advantage plans each offer unique benefits and deductibles. Medigap policies supplement Medicare Parts A and Part B. Traditionally, Ohioans elect Medicare Supplement Plans in order to have a flexible plan and access to over a million doctors across the country. 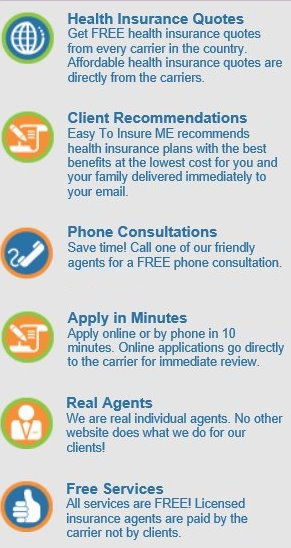 At EasyToInsureME we are Nationally Licensed and Certified to Offer both Medicare Supplement Plans and Medicare Advantage Plans. However, we focus mostly on offering coverage in the state of Ohio. Some Ohio Medigap policies also offer coverage for services that Medicare Part A and Part B do not cover. For example, when traveling outside the U.S. intentional care is covered under some supplements. If you have Medicare Part A and Part B and you buy a Medigap policy, Medicare will pay its share of the Medicare-approved amount for covered health care costs. Then your Medigap policy pays its share. 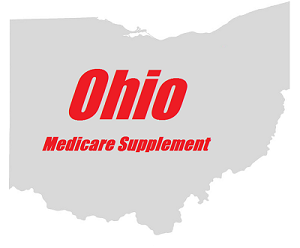 Part A and Part B are required to purchase a Medicare Supplements in the state of Ohio. If you currently have a Medicare Advantage Plan and are unhappy with it, you can apply for a Medigap policy, but you may have to wait until Open Enrollment to leave your Medicare Advantage Plan. Medicare Supplement policies typically begin on the first day of the month. If you elect a supplement, your premium is paid by you directly to the insurance company, most people elect to pay their premium monthly. While a Medicare Supplement policy only covers one person, many Ohio companies offer household discounts, your agent can review these plans with you. Ohio Medicare Supplement plans are guaranteed renewable. This means the insurance company can’t cancel your policy as long as you pay the premium. Medicare Supplement plans are not allowed to include prescription drug coverage. However, if you want prescription drug coverage we can help you enroll in a Medicare Prescription Drug Plan. Prescription drug plans are often referred to as Medicare Part D.
Medicare does NOT cover everything under the sun. Medicare generally does not cover long-term care, dental or vision, hearing aids, or private-duty nursing. Speak to one of our agents about Dental Insurance, Vision Insurance, or Long Term Care if you are interested in these insurance products. 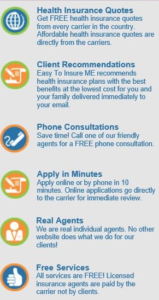 At EasyToInsureME our Medicare Insurance Agents are licensed with a multitude of companies. The agent’s job is to help enroll beneficiaries in the plan that best meets the consumers needs. There is no cost associated by working with us. Our staff is paid by the insurance companies. The insurance companies save money by paying independent agents to handle the sales of their products. Independent agents can quickly eliminate policies that are not good for a Medicare beneficiary. For example, if you knew you wanted the Cleveland Clinic or The Ohio State University Medical Center an agent can quickly show you what plans may work for you. Our goal is to make a friend and build a long lasting relationship. The plan you decide and age 65 may or may not be the best plan for you at age 75. We try to speak yearly with our clients and are always available for questions. To obtain quotes on Ohio Medicare Plans in your area. Simply request a Quote.